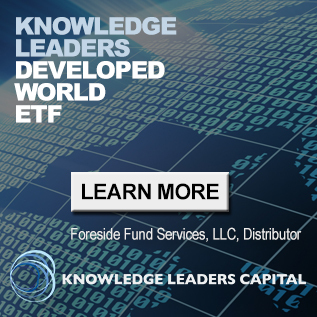 Perhaps one of the most important questions investors need to answer today is whether we’ve seen the low in the long bonds yields or whether the trend lower is firmly intact. The recent spike in the 10-year bond yields from 1.65% at the end of January to 2.14% just two weeks later has no doubt complicated the situation. 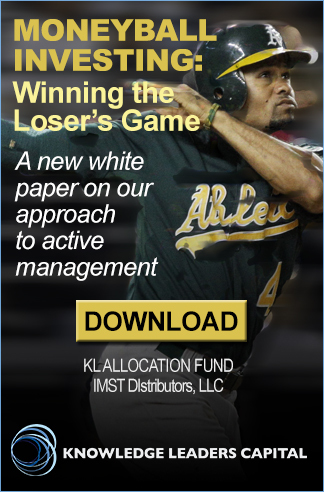 In this piece we’ll try to layout one case for lower yields still. As the first chart below shows, bond yields have spiked higher over the last few weeks, but the trend lower has hardly been compromised thus far. 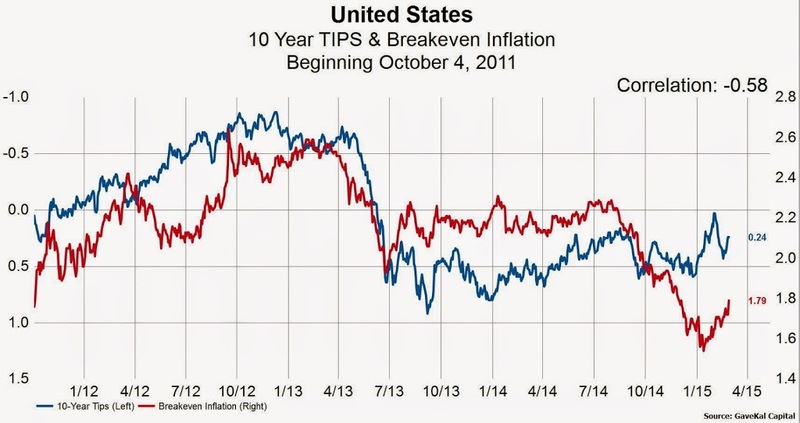 Chart two shows that the rise in breakeven inflation expectations played a large role in the rise in rates, but real rates (TIPS) yields (blue line, left axis, inverted) actually rose as well. 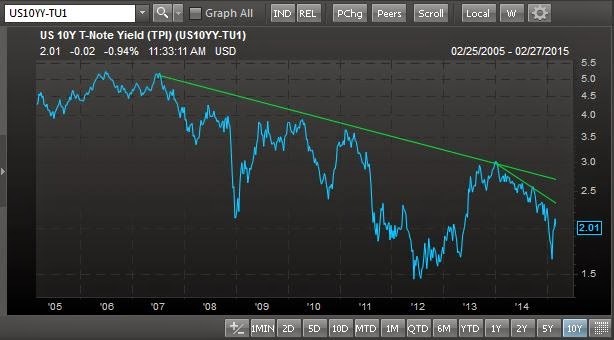 This tells us that the rise in yields has been due to a rerating in both growth and inflation expectations. The question is whether this is a cyclical rebound from excessively deflated expectations or whether growth and inflation are actually picking up. We have something to say about both. 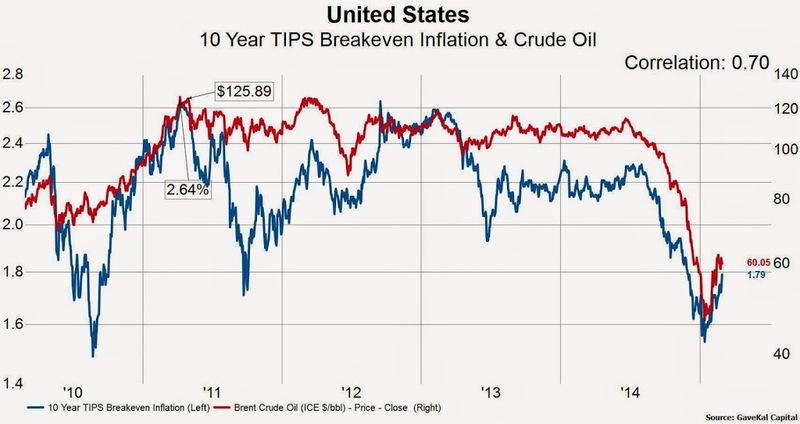 As the following three charts show, inflation is clearly not picking up. 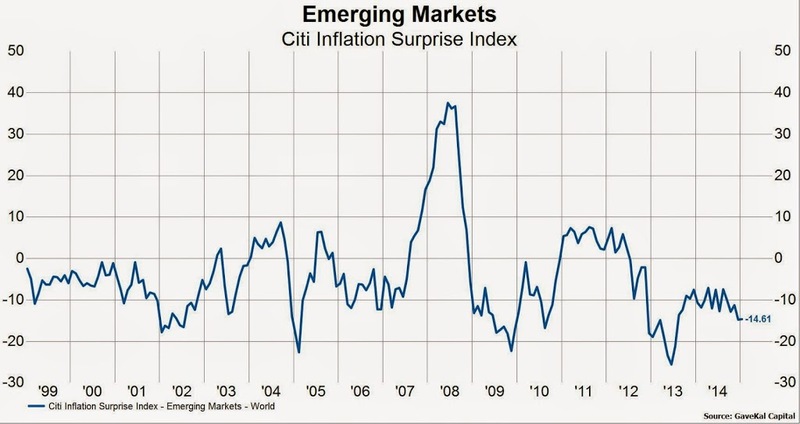 The first two charts show the Citi Inflation Surprise Index for developed and emerging markets, respectively. Both are headed lower. 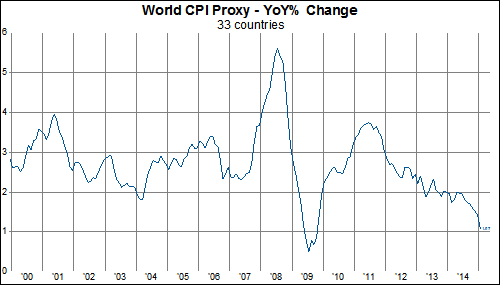 This confirms the trend lower in actual inflation readings as shown by our proxy of world CPI in the third chart. 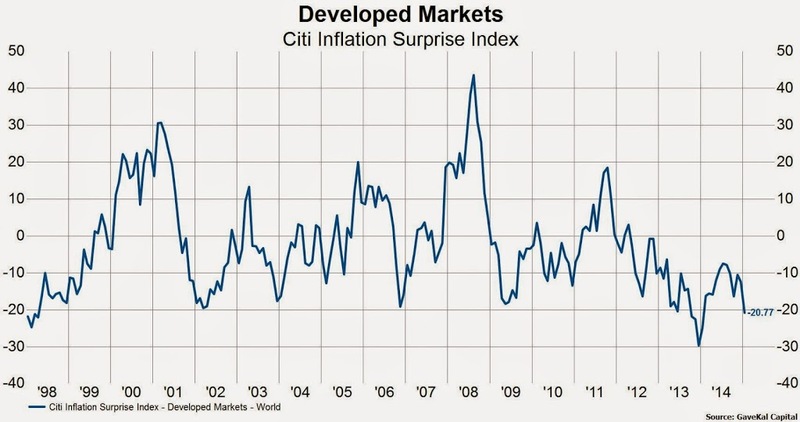 Indeed, actual realized CPI is at the lowest level since 2009. In the next few charts we’ll try to show that market based expectations for inflation are hardly showing firm signs of improving either. Some of the best real time indicators for changes in world growth and inflation are the prices of industrial commodities used in manufacturing, construction, and transportation activities. In the next three charts below we’ve overlaid the price of copper, lumber, and oil on top of TIPS implied breakeven inflation expectations. 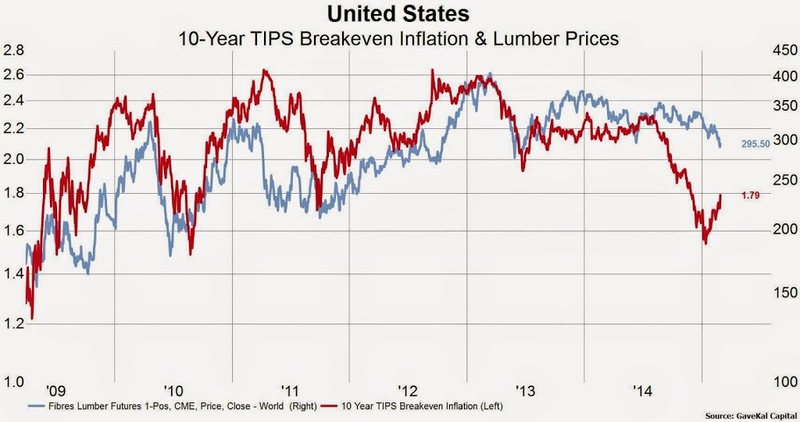 We see that the price of copper and oil have bounced in lock step with the rise in breakeven inflation expectations, but the price of lumber (an indicator of housing construction) has ignored the bonds and continued to fall. Furthermore, the rise in both copper and oil for now appears to be more of a rebound from oversold levels than a change in trend. 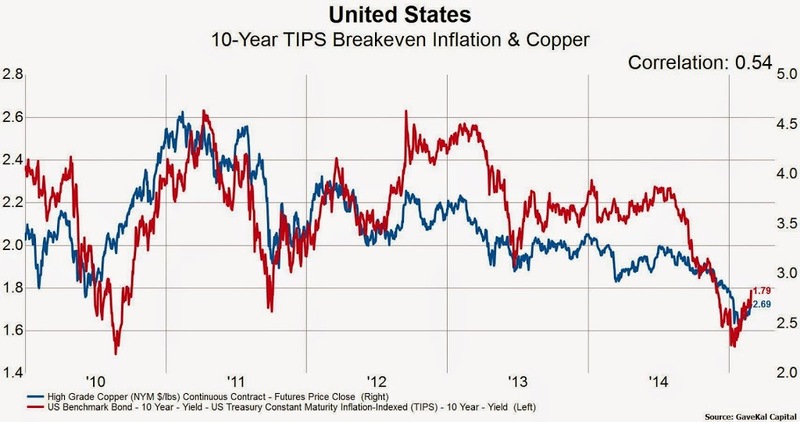 Copper has been trending lower for years and oil stopped going up in 2011. It is not a coincidence that Chinese growth/demand for commodities has slowed over this period. The next important question to consider is whether world growth is on the precipice of some sort of meaningful acceleration. 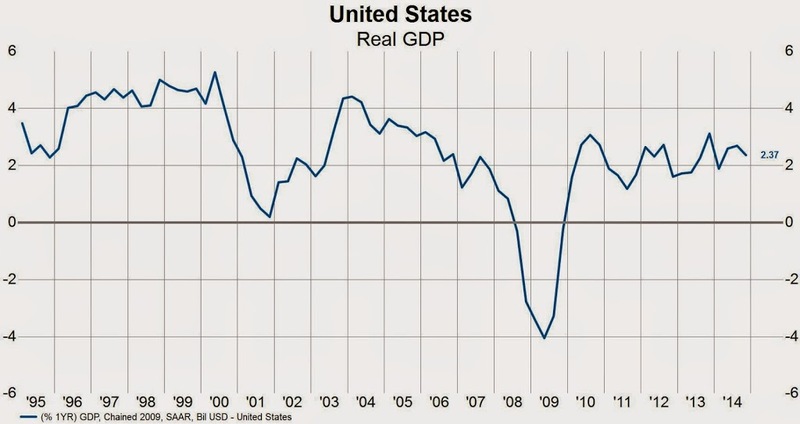 Given the trends that have been in place for more than a decade and the debt dynamics (we won’t go down that rabbit hole here), we think it’s unlikely we’ll see a sustained period of above trend growth. 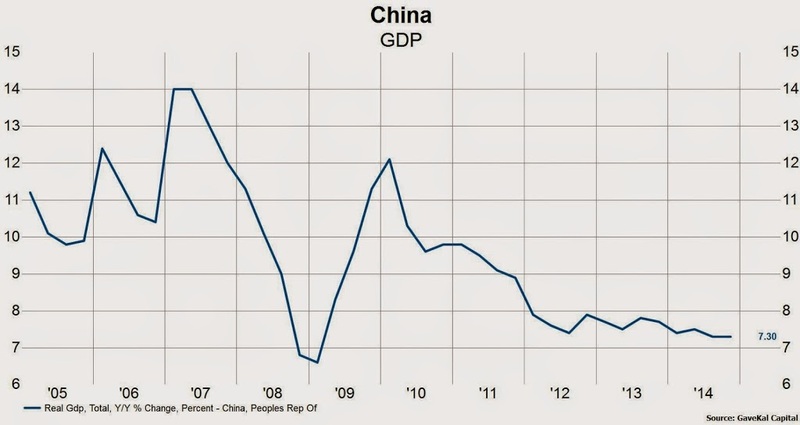 Indeed, Chinese GDP has been slowing now for several years and that slowing will only accelerate as the economy moves away from capital spending as the driver of growth. 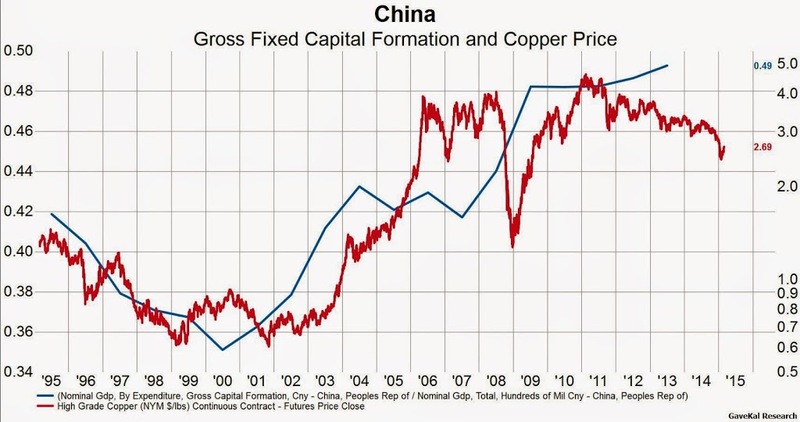 Indeed, the price of copper indicates that the move away from capital spending may be taking place in 2015. This mathematically implies much lower Chinese growth in the years ahead since the largest driver of growth will be retreating more than can be compensated for by faster consumption growth. While the US and Europe may have experienced cyclical bounces in GDP, year-over-year readings remain stuck in the low growth range that has prevailed for the better part of decade. 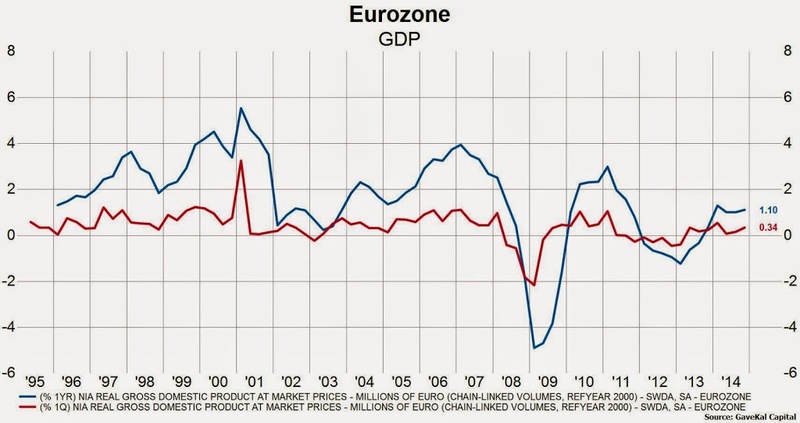 We doubt the above trend growth in Europe between 2006-2007 will be repeated with China slowing and limited room for fiscal expansion. 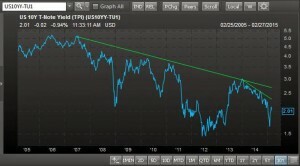 The rising dollar and the prospect of higher short-term interest rates probably acts as a headwind for the US economy. 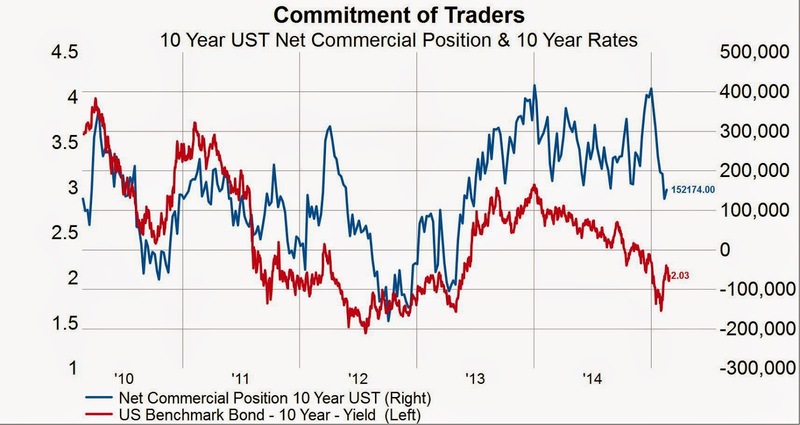 Despite the move higher in yields, investor positioning still shows that speculative traders carry an historically large short position in treasury bond futures and options. 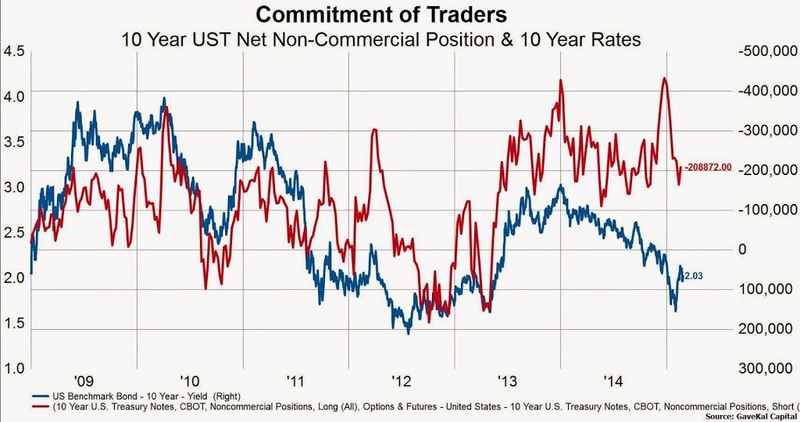 Traders’ net short position is indicated by the red line on the right axis and shows that speculators are net short about 208K contracts on the 10-year bond. This is an improvement to the record short position of more than 400K contracts at the beginning of 2014, but it is still far from levels consistent with a cyclical low in yields. Since 2009, lows in yields have not taken place while speculators were net short the long bond.